This work includes excavation of the current road pavement followed by reinstatement of materials, including new asphalt. Our contractors will also be taking this opportunity to undertake some drainage repairs. Work is expected to be completed, and the road reopened, within the next four weeks. During the work, motor vehicle access in and out of Princes, Nelson and Pomona Streets will be restricted and some parking will also be affected. Traffic heading west on Tweed Street will be re-routed onto one of the east-bound lanes. 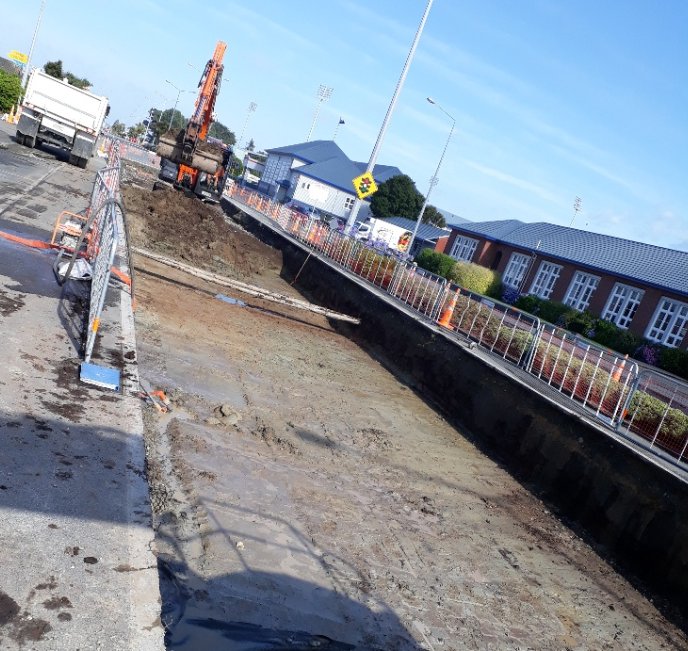 The pedestrian crossing, near Southland Girls’ High School, has been turned off to avoid confusion with the temporary road layout. A Traffic Controller (stop/go sign) will be in place, before and after school to ensure students are able to cross safely. Safety is our first and foremost priority and we ask that you please obey all traffic signs in place, including road closures and temporary speed limits. Working hours will be limited to 7am – 7pm, Monday to Friday. This entry was posted in Development, Invercargill and tagged roadworks. Bookmark the permalink.